Renewing a membership will add one year to the renewal date. You will not lose time by renewing early. 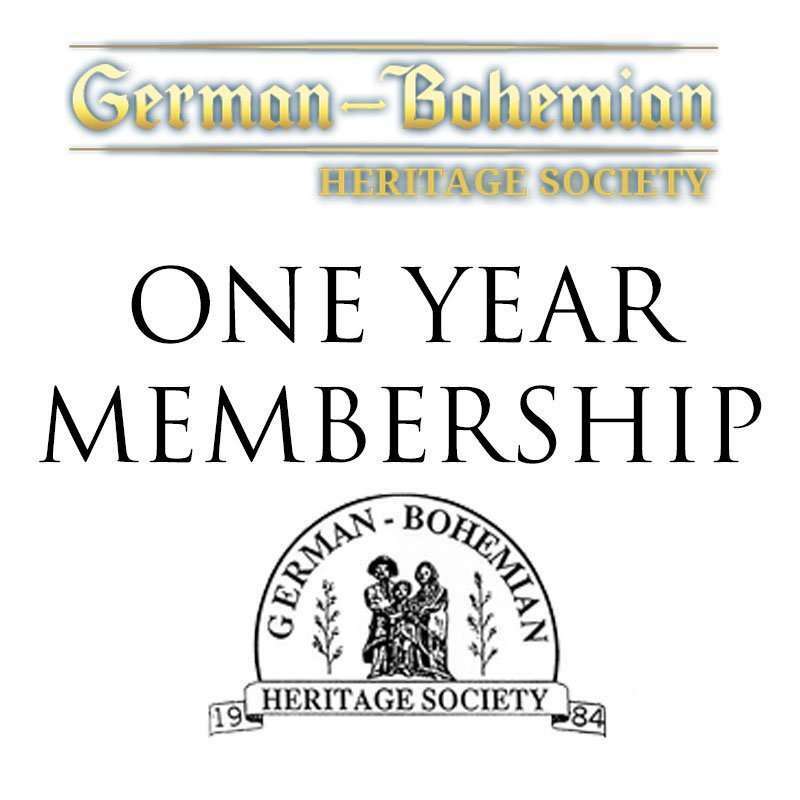 Help perpetuate the German-Bohemian heritage and culture by supporting this society through membership. Bohemians, the only one of its kind in English published in 2013.?? Publishing costs are high and it takes several years to recoup the investment. And last but not least to purchase books and research materials for our library and research center which is free of charge to our members. Add this all up and you will see that the price of membership is a great value. Sign Up for 1 One Year GBHS Membership Plan to unlock all aspects of our website! Please join all the others who have already committed their 2016 dues. Subscribe by paying with your PayPal account or Major Credit Card. Please make your check payable ($20.00) for a one year Family Membership to GBHS and mail it with your membership form to the address below.